The Cadillac Eldorado was released in limited production as a model for propulsion. This luxurious convertible Convertible Sport Coupe 4.6) 5.61 meters long, is established on the basis of Series 62 convertible with a wheelbase of 3.20 meters. The Cadillac Eldorado was the first to get a panoramic windscreen. Their coat is completely hidden under a metal cover, made of acrylic, can be white or black. The equipment includes leather upholstery. Includes resources such as automatic selector Radio, radio and wheels whitewall tires, fog light and mirror driver side. The engine is a 5.4-liter V8 that develops 210 hp at 4150 rev / min, the gearbox is automatic. Sold at $ 7.750, twice more expensive than the cheapest Cadillac, the Eldorado is produced in 532 copies. For 1954, Cadillac Eldorado includes forming the body of 62 series convertible, the model of chromium, especially in the lower rear spoilers, and more luxurious equipment being built. The wheelbase is 3.28 meters and the engine reaches about 230 horsepower. The price is reduced to $ 5,738 being production reached 2,150 units. In 1955, Cadillac Eldorado seems to be a very different Cadillac due to the difference in treatment between the rear fenders are trapezoidal fins instead of the bulb. The taillights are positioned below and characterized by a molding that extends up above the wheel arch. The engine develops 270 hp at 4,800 rev / min. The price is $ 6.286 and production amounted to 3,950 copies. In 1956 Cadillac Eldorado is available in two bodies, the so called Eldorado Biarritz convertible; and coupe, called Eldorado Seville. The designation of “Biarritz” refers to the famous resorts in France, and the designation of “Sevilla” to the equally famous Andalusian city including the American pronunciation is near the name “DeVille” used for another model Cadillac. The coupe is nothing but a convertible with the top being replaced by a hard hardtop without message (a line style used for the first time in the first Cadillac Coupe de Ville, 1949). 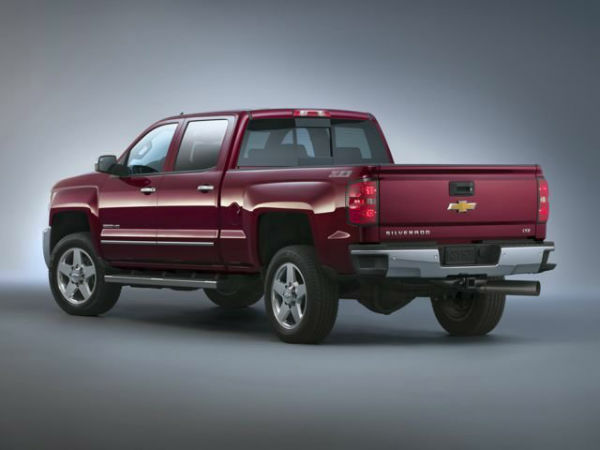 Aesthetically, the body undergoes some cosmetic changes, including a new grille with a tighter mesh. The parking lights are on the bumper. The motor is driven at 305 bhp at 4700 rev / min. The price is $ 6,501, regardless of the body. The Cadillac Eldorado Biarritz has sold 2,150 copies, and Eldorado Seville 3900. Like other new generation Cadillac Eldorado is based on the new tubular frame X, without side rails, with 3.29 meters wheelbase. With this framework, it is possible to create new bodies that can withstand a lot of weight, even more resistant to twisting, but is weaker when a side impact is experienced at any speed denounced as Ralph Nader. The body is amplified in low light thanks to another passing under the rubber bumpers protected against bumps. The Cadillac Eldorado engine is equipped with four carburetors and air suspension system of co cooling among other features high pressure. It was a failure for the company with problems like air escaping. 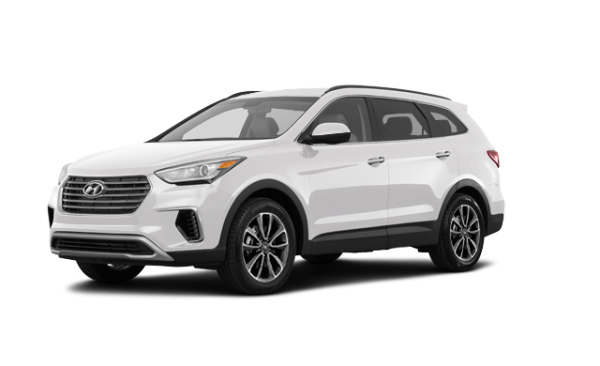 The company tried desperately spring replacing conventional suspension system models remain today with the air suspension. The Next Generation (1959) models are brand new, with a completely redesigned body that is characterized by its huge fins including tail lights located on the shelves in the form of rockets, the panoramic windscreen amounts double curve and a split grille, separated by a central authority bar. 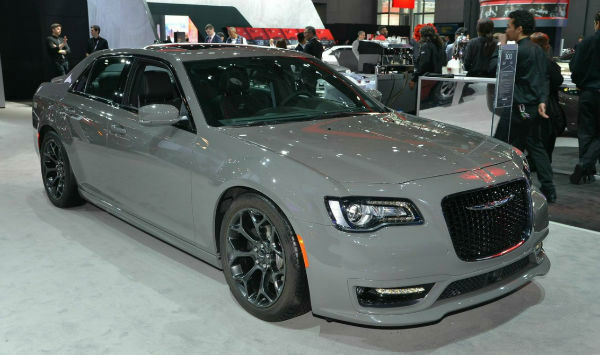 Under the hood, the V8 engine now has a displacement of 6.4 liters and develops 345 hp. The Cadillac Eldorado Brougham distributed in Detroit and Turin are designed by Pininfarina is distinguished by its unique body tense and fins without lights lines (the latter is in a chrome housing at the end of the rear fenders). 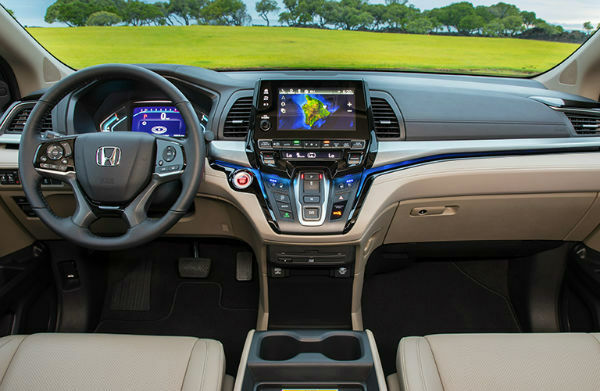 The body remains a hardtop sedan, but the door is now open all in the same direction as the previous generation lacked. In 1960 both models suffer some modifications, such as the adoption of the fins and tail lights or reduction of the guard in the bumper at the Eldorado Brougham or the parking brake (standing) that is released when the shift lever is placed in the “drive” position, thanks to a vacuum system. You no longer have named Cadillac Eldorado Biarritz like other 1961 models, style is less exuberant and body is brand new, still under the direction of Chuck Jordan, developments such as the appearance of the lower fins are included on the horizontal line front wheel to the rear bumper. The car is undergoing some cosmetic changes for 1962 being the front bumper was extended to the square of the wheel and receives signals, tail lights in a vertical position, and the grill is equipped with a horizontal center bar and thick vertical bars, is back left Cadillac registered in italics. The 1963 model adopts a new body, the longest (5.66 meters) in the same chassis and wheelbase of about 3.29 meters. It is designed under the direction of Chuck Jordan is characterized by the soft sides of the body, front fender and windshield elongated rights. The fin height decreases again and screen extends under lights, with a peak forward even more pronounced. The back door to receive a feature that reminds the front grille. A Cadillac emblem surrounded by a laurel wreath chrome landed on the back of the rear spoiler and the inscription “ELDORADO” in the capital is at the right edge of the trunk and lower wings behind the front wheel. This model includes a new engine under the hood, a V8 whose origins date back to 1949 with a displacement of 6.4 liters, thanks to 23 kg lighter. In 1964 has a small change in the engine becomes a saturated seven liters V8 and develops 340 hp at 3,600 rev / min. Chuck Stanley Jordan Parker with the management style of Cadillac. Wayne Kady asked to make a new facelift for 1965 Transformations produce features that completely change the front of the car as a vertical installation of dual headlights and flapping behind. However, the main line follows a slightly inclined with respect to the wings before dropping sharply to the back door, which gives a visual impression of movement of the remaining fins. From here and cars are front wheel drive for the first time in the history of the American firm. The new Eldorado, released in September 1966, no longer owe anything to the previous models of the brand, with the exception of its V8 7 liter 340 hp. Get the technical basis for Oldsmobile Toronado introduced in 1966, with front-wheel drive, front suspension with torsion bars, wishbones and disc brakes. The rear suspension semi-springs -elípticos entrusted to four games: two horizontal and two vertical. The car has a leveling. Although it is shorter and lower than other Cadillac Eldorado, this model can accommodate six passengers, the cabin is not crossed by a transmission tunnel. Despite its price of $ 6277, the Cadillac Fleetwood Eldorado is a commercial success, production reached 17,930 copies. 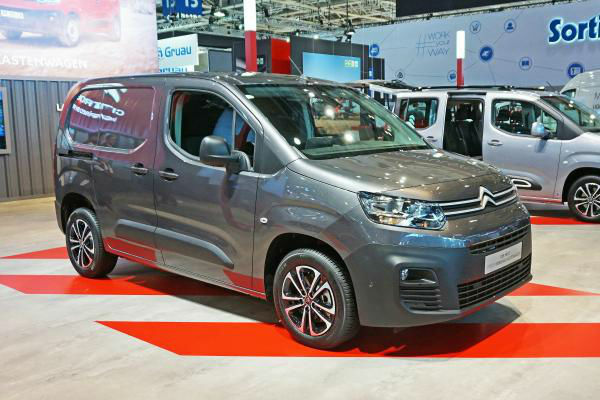 The style of the front is taken from the previous model with round headlights placed in square units, a rectangular grid and vertical bumpers. Remember, chrome rear spoiler dresses vertical air inlet fictitious Eldorado 1953 just after the door and the rear wheel is hidden by the wheel cover, the inscription “ELDORADO” is placed just below the front fender. 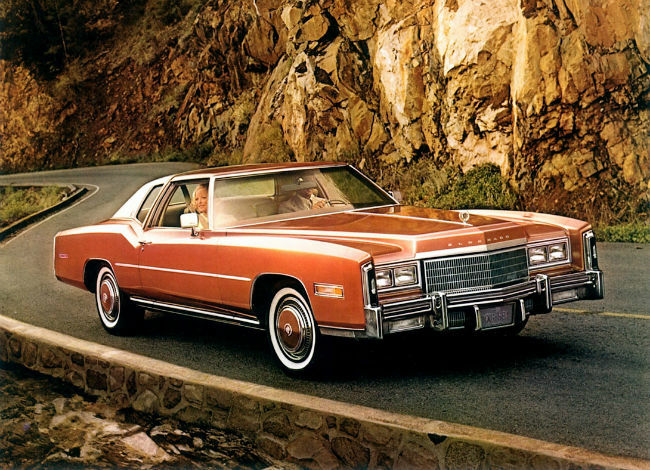 The 1977 Eldorado no longer exists in the coupe. As usual, the car received some cosmetic changes. New rectangular lateral position lights are installed behind the rear wings and ELDORADO word is capitalized at the end of the bell above the grid, which retrieves a grid of vertical slats. The “Custom Eldorado Biarritz” version extends receiving side rear quarter windows and rear window lights is “frenchee”, ie, the housing is molded to the body for a smoother appearance. The roof is covered with vinyl imitating a convertible roof. They are sold at the rate of $ 11,187, the Eldorado comes at 344.47 units. The body design is done under the direction of Wayne Kady. He studied since 1976, personifies what was to be a modern Eldorado. A long hood, short tail, straight wings with front view of the bonnet line and vertical taillights sunken and refined: Eldorado contour shown since 1967. In 1980, Eldorado received a new mesh grille 17 vertical bars and horizontal bars and 6 new wheels. In 1981, the grid gets finer mesh and the whole of the central wheel is painted red. Cadillac offers the first 6-cylinder engine in its history with a V6 engine of 4.1 liters Buick original, which develops 125 hp. In 1980, Eldorado received a new mesh grille 17 vertical bars and horizontal bars and 6 new wheels. Get an upcoming change year being the best mesh grille and center wheel is painted red. Always to reduce fuel consumption, Cadillac offers the first 6-cylinder engine in its history with a 4.1 liters V6 Buick original, which develops 125 hp. Meanwhile, the diesel engine is heavily modified and developed over 105 hp (78 kW). After the oil crisis, Cadillac puts most of its vehicles E. designers show platform proposals for the new Eldorado March 1981 The challenge we face is to maintain the usual features of the previous Eldorado when the door is almost pressed against the front wheel , a pillar centered between the glass door and quarter panel and very rounded and has the car. Despite the opposition of all the designers, the CEO of the brand continues, but designers are striving to put the name of Eldorado in the front bumper of the car. In 1986 Chuck Jordan called the right style for 1988 Eldorado so include new features like wingspan of 7.5 cm, the restoration of lights and rear bumper near the style of the previous model modified the front to give character the car. The model costs about $ 24.891. In 1989 he pushed 180 hp engine is included. For 1990, Cadillac reintroduced “Touring Coupe” version. It has a hardware dechroming, its 16-inch wheels shod with 215 aluminum and Cadillac emblem surrounded by laurel wreath placed on the grill. Despite this new option, production fell to 29,161 copies. In 1991, his last year, the most beloved Eldorado see the change switch 4.9 liter engine, which has an output of 204 hp. In October 1986, Chuck Jordan (vice president of design at General Motors asked his designers to find the emotion and strength in their new designs and apply it to the Eldorado Seville. The new Eldorado found dignity and class of its predecessor in 1979 While retaining a wheelbase of 2.74 m, it is with a length of more than 200 inches, with 5.14 m. The width is 1.90 meters and the height is 1.37 m. This increased size makes it a long hood and find the slope of the rear window reminiscent of Eldorado 1967. Meanwhile, the rear vertical glass finds its continuity with the glass door. The use of chromium is very limited, a thin strip around the side housings mirrors and windows are painted in body color. A sidebar runs throughout the car, the Eldorado case registration is recorded in the door. The headlights go far beyond the sides and vertical taillights are placed on the rear wing. Cadillac emblem surrounded by laurel wreath is placed on the pillar C.
Chuck Jordan coming out of GM in 1991 found that the life of Eldorado would be increasingly difficult due to the increasing production of sports sedans. On 22 April 2002 the Eldorado longer occurs in Lansing leaving behind in production chains Chevrolet SSR. Eldorado’s successor is the Cadillac XLR. The production of the Buick Riviera, which shared the platform with the Eldorado finished model from 1999. Not long after, GM announced that 50 years the model Eldorado, 2002 would be his last. To mark the end of the nameplate, a limited production of 1,596 cars in red or white – the colors available in the original 1953 convertible – occurred in three batches of 532, which means first year of production of Eldorado. The latter cars presented specially tuned exhaust notes imitating their predecessors half a century before, and a plate mounted on the dash indicating the sequence of each vehicle production. The last Eldorado Cadillac was delivered to the Museum in honor of Don Massey Don Massey Cadillac – one of the largest distributors in the United States Cadillac. The second to last production Eldorado was sold to Nicola Bulgari, the Italian jeweler and amateur avid car. The car will reside with his collection in Rome, Italy. Production ended on April 22, 2002, in Lansing Craft Centre retooled to build the Chevrolet SSR.